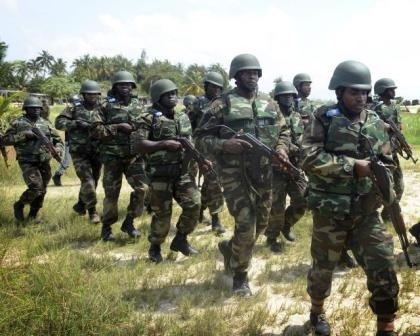 The Centre for Information Technology and Development (CITAD), an NGO, has condemned the fake picture of the killing of some Nigerian Soldiers on the social media platform. “The picture, which has gone viral on the social media, shows two gentlemen in a Nigerian military uniform; one is dead while the other is crying loudly. ‎”Those circulating the image claimed it was a scene during the recent attack on the Nigerian troops under the 157 Task Force Battalion at Metele in Guzamala Local Government Area of Borno on Nov. 18,” he said. According to him, the organisation observes that the picture is receiving the attention of Nigerians on the social media with the impression that it originates from the Metele attack on the Nigerian troops. “We want to emphasise here that the picture is fake, and it is not in any way connected with Metele incident. “Unlike what those circulating the pictures claimed, the picture originated from a Hausa Movie called ”Abu Hassan”, where two friends “Adam Zango and Zahraddin Sani”, were involved in a gunfight with their antagonists. “Zango had in the movie died, having been shot several times and Sani, being a friend and a colleague, was madly screaming in sympathy with him. “The movie produced by Zahraddin Sani and directed by Alfazazi (a Kaduna-based film maker), was released in 2016. “They are using that scene to mislead people into believing that it was a reality during Metele incident; that is absolutely false’’. Ibrahim, however, said the alleged picture was fake in totality, urging those sharing it to desist from such act, on whatever medium. “Disseminating fake news in whatever form is injurious to the peace and development of the country, and as such, people should desist from such act. “We equally want to caution people against sharing fake news particularly at this time of electioneering campaign. Before sharing any information, people should question its authenticity,” he said.